Lookin’ cool for the Colts. I found this photo among Stubby’s scrapbook, and he had several copies of it. 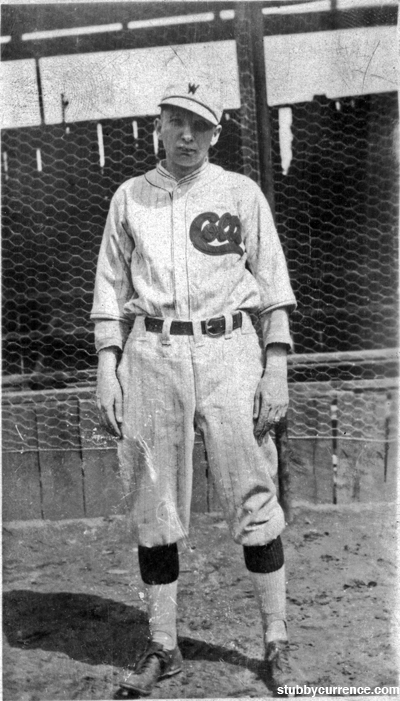 This is him with a “Colts” baseball uniform with a “W” on his cap, but I’m not sure what team this is. The Richmond Colts were playing in Virginia League from 1918-1928, but in the research I’ve done, the players have an R on their cap. Ah, quite the mystery. Any guesses?